The nativity scene or crèche, called in Italian the presepe or presepio, brings to life the story of the Nativity as told in the canonical as well as apocryphal gospels. The presepe (pl. presepi), which literally means “in front of the crib,” has been an important feature of Christmas celebrations in Italy for centuries. Appearing in churches, piazzas, and living rooms on December 8 (the Feast of the Immaculate Conception), presepi remain up until after January 6, or Epiphany, the feast associated with the visit of the Three Kings or Magi. 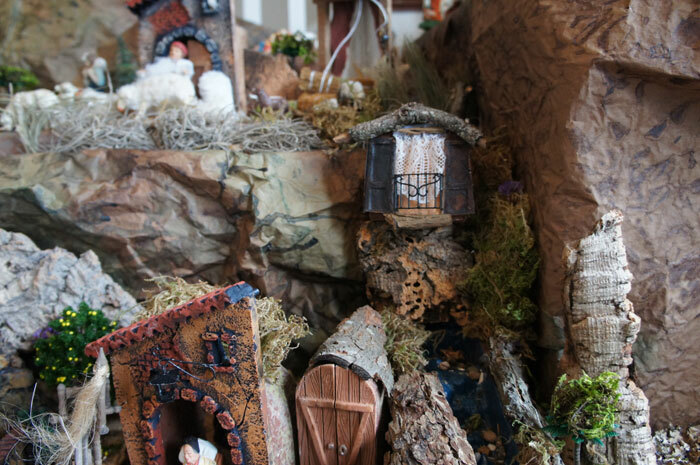 The legendary origins of the presepe was a theatrical Mass performed by St. Francis in 1223 in the town of Greccio. 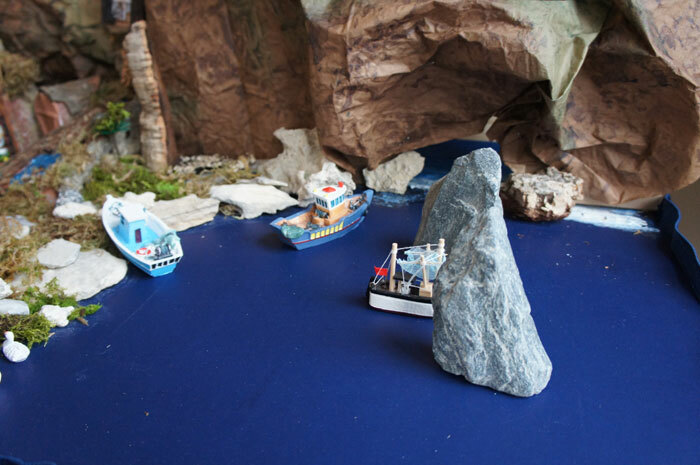 Naples elevated this craft into high art. By the 18th century, thanks in part to the patronage of King Charles the III, the art of the presepio was in its golden age. 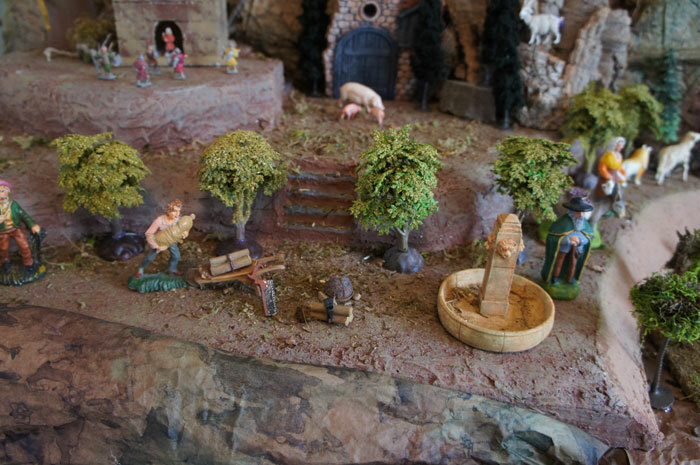 Margot and Scott Gorske have constructed an elaborate presepio at their home on Madison Avenue. 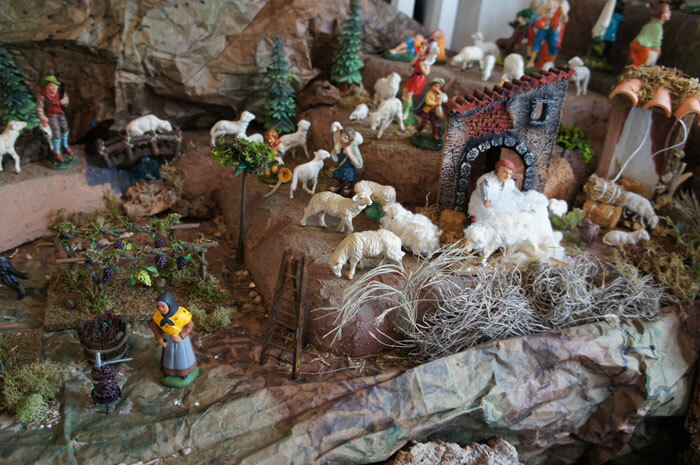 The Gorskes welcome you to share the holiday spirit by dropping by their home at 205 Madison on Saturday December 8th from 4 to 6 pm to see a traditional Italian presepio with snacks and cheer aplenty. 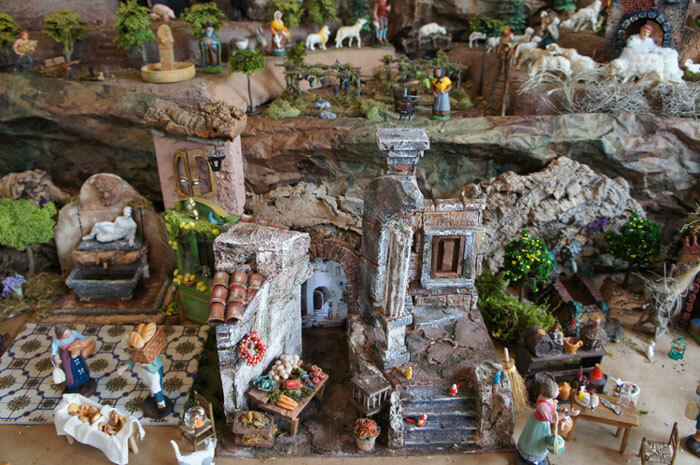 If you aren’t familiar with a presepio, flyers will be available to explain this marvelous tradition and its significance. 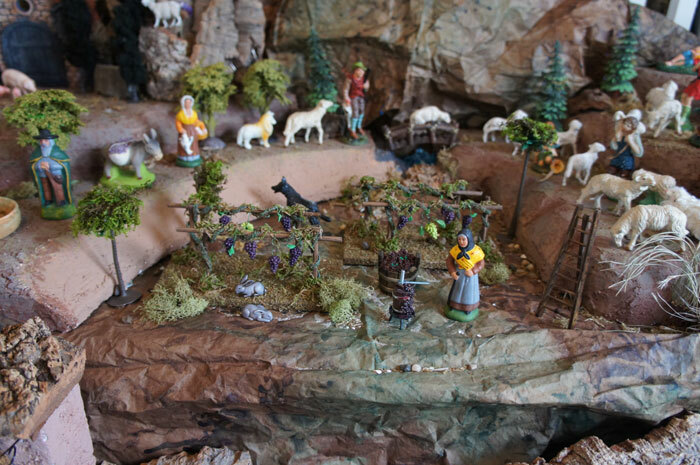 The traditional life-sized wooden religious Nativity scenes that were crafted for the church had evolved into animated, detailed and expressive miniature terracotta figurines in an art form that blended sculpting, painting, fashion, and tailoring. In true Baroque fashion, the sacred and the profane collided, setting the Holy Family and the procession of the Magi alongside vignettes that portrayed contemporary life in 18th century Naples. Scenes that depicted ordinary people going about their ordinary lives: shoemakers and innkeepers, bakers and fruit vendors, fishmongers and butchers, carpenters and blacksmiths, and the beggars, the poor and the derelict. Aristocrats vied for the best, churches competed, and palaces hosted elaborate displays of wealth, art, and religious symbolism. Besides the holy family, the Magi, and angels the Gorske’s added specific figures such as the twelve months–August, a watermelon seller, November a chestnut seller, and December, a fishmonger. In addition, specific characters are represented. The shepherd witnessing the Astonishment, the young gypsy woman who foretells the painful future of Jesus, and two comrades, Uncle Vincenzo, and Pasquale, representing Fat Tuesday and Death. Please stop by and see who you spot in the presepio and who needs to be added next year. Wonderful Clelia and Hope; thanks so much. Come on down!! THIS is the America I remember………..
Merry Christmas everyone!!!! God bless America!!!!! Is/was this a one time event. I would love to see the presepe. Thanks to Wayne and the Gorskes! Note: I think it is one time event, Saturday December 8th from 4 to 6 pm. Kathleen; if we are home, you are welcome to stop by if the 8th is inconvenient. PS takes me forever to pack it up so will be there until NYD for sure!